In order to process your receipt, the system needs to be able to scan and read the entire receipt. 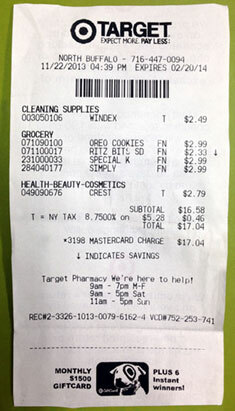 The system scans for certain information, so it’s important for that information to be visible in the receipt photo(s). If you were notified that your receipt could not be processed, simply re-scan your receipt using the App.